It’s that time of year again, as Ramadan comes to a close and Eid is suddenly upon us. Ramadan is, amongst many things, about purification. With fasting, we purify our bodies, minds, spirits as well as our material things. To do so, we sacrifice a bit of everything to bring in the new for the coming year. Fasting from food to bring in good energy. Fasting from day to day worrisome thoughts to bring in happier thoughts (think meditation). Fasting from earthly things to remind ourselves of the bigger picture through worship and Quran reading. Zakat ElFitr, or “Fast Breaking Charitable Offering” is a major part of Ramadan. It’s been noted than one must purify their materials by donating at least 2.5% or whatever one can from their assets they’ve held for at least a year. This is calculating any financial accounts, properties, gold, etc. There are helpful online zakat calculators one can use to help determine how much they should give. Remember, that this must be given before Eid ElFitr prayers to make everything you did in Ramadan count Insha’Allah. Remember, Zakat isn’t only finances, but it’s also your time and energy such as volunteerism and referring others to do the same. With that and reflecting on my post from two years ago, below are some organizations, Zakat approved, that you should continue to support now and throughout the year. The San Francisco Islamic School (SFIS) has truly come a long way in the last several years. They’ve grown with the love and support of the community in the San Francisco Bay Area. They are working tirelessly to start San Francisco’s first full time Islamic faith based school in the coming year and can use all the support they can get. If you can donate financially or volunteer just a couple of hours a week, I urge you to go to their website and learn more! A community can not be called one if it does not have a strong support system. From losing a job because of faith to defending civil rights on a larger scale, Muslims in the US do come across bigotry and backlash on a daily basis. Through it’s many chapters across the country, CAIR has been that support system for the Muslim community at large. Educating the masses to “know your rights” as well as voicing common concerns of the Muslim community on Capital Hill is the tip of iceberg of the great work CAIR does. Your financial and volunteer contribution goes a long way to support the community. Find a chapter near you and ask how your zakat can support the community. With all that is happening in the world, be it natural disasters or man created conflict, you will always find Islamic Relief of USA there. Day after day, I’m impressed by this 4-star organization’s efforts and dedication to serving humanity at large. When other organizations leave an area, Islamic Relief is still there, for the long haul be it locally throughout the US or on a global scale. I’m honored that I know many individuals on a personal level that work and contribute their time and efforts into this organization and I ask you to do the same. If you know of any organizations that should be on this list, please post their information in the comments or tweet them to me (@ms_hala). I was recently having some interesting conversations with friends of mine about the various things that have been bothering us. It got me thinking about forgiveness. From Surah ElNisa’ (The Ladies Chapter), we are reminded that God (swt) is truly the one whom forgives. How can we not be able to be forgiving? Why walk around with this heavy hurt, this negative energy, this sadness? We hold on, unable to forgive thus forgetting that God (swt) may have already forgiven. Speaking for myself, I was picked on and bullied almost all through elementary school before it weened out in the 8th grade. It caused me to be sensitive, sad, angry and hold extreme grudges for long periods of time. It has taken me years to grow out of that person and be the happy person I’m today. I owe that positive change in my life in part to a lesson I learned years ago. The lesson was that God (swt) does not accept one’s salat (prayers), seyam (fasts) or zakat (charity) if they hold a heavy heart towards anyone. Why? For God (swt) is the one whom “has the power to pardon”, the all forgiving for He is the generous one. If God (swt) has forgiven them, how can we not? If God (swt) has forgiven us, how can we not? It took me a long while to reflect upon that message and being honest when I said to myself, “All is forgiven. I forgive me. I forgive them. All is forgiven.” Alhamdulillah (Praise God), today, I’m in a great place in my life by the grace of God (swt), my family’s love, my friend’s support and of course my own hard work and determination. 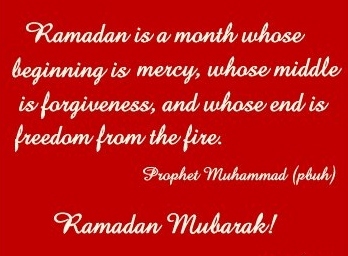 I urge you all to reflect this Ramadan and find it in your heart to be more forgiving to yourself and to others. Ramadan Kareem and Eid Mubarak to all my readers and followers! It’s that time of year where we Muslims reflect back on ourselves spiritually, mentally and physically. It’s also that time of year where we also need to give back to our communities be with finances, volunteerism or word of mouth. I’d like to take this time to recommend a couple of great organizations that you can offer your Ramadan charitable offerings or “zakat” too. If you are in San Francisco Bay Area, then you’ve heard of the San Francisco Islamic School (SFIS). Starting small, this nonprofit education organization is providing a major source of education, faith and community awareness to our young ones, from pre-K to high school students. SFIS is run on the energy of volunteers (yes, NO ONE gets paid! ), with funds going towards the rental of classrooms at Mercy High School, textbooks, materials as well as towards major events like SFIS at the Zoo. As they come to start another school year, they are in dire need of volunteer teachers, teachers assistants and general volunteers. I personally have been with this organization for a couple of years as the 2nd grade Arab Language and Quran Studies teacher. Believe me when I say that I’m always taken back by what I learn from my students every week. Check out SFIS to learn more, volunteer your time and donate today! 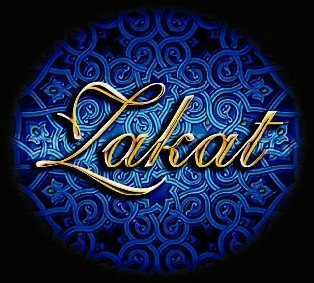 With all that is happening, specifically in Africa, one must remember why zakat is a pillar in our Islamic faith. Where ever you may in the world, there is a good chance the Islamic Relief USA is there! Islamic Relief is a 4-star charity organization that goes over and beyond the duty to support and bring forth support to hard hit places around the world. They were one of the first organizations on the grown in New Orleans during Hurricane Katrina, one of the few organizations in Pakistan during their most recent floods and now they are in the Horn of Africa as they struggle through this drought and famine. Please check out Islamic Relief‘s website where you can not only read on all their efforts but select which effort you want your donation to go to. If there is an organization you feel that is worthy of our zakat, please the information in the comments below or via Twitter by mentioning me, @ms_hala.